25 ACRES AT THE FOOT OF THE BEARTOOTH MOUNTAINS! Great sunsets and sunrises with thousands of acres of public land just up the road or down the road about a half of a mile! Bring your horse and ride all the way to Yellowstone National Park. 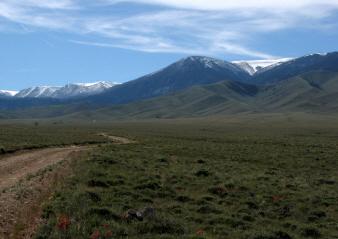 This area has lots of wildlife including antelope, mule deer and elk. If you head up into the National Forest, you wiill find bear, wolves, moose and maybe even a grizzly. If you head down to the river you will find turkeys and whitetails, as well as pheasants and Hungarian Partridge. Fishing for trout is also very good in the Clark's Fork of the Yellowstone RIver.